India is a canvas full of colors. Different cultures and varied landscapes make this country unique and full of surprises. India is marked by three distinct seasons namely, winter, summer, and monsoons. After the searing heat of summer, the monsoons bring rains throughout the country, much to the relief of everyone. This season is also a great time for leisure travel. Monsoons are characterized by the rivers filling up once again, the parched Earth gaining back its green carpet, waterfalls thundering down in full aura and the flora and fauna springing back to life. Coorg, Karnataka: Known as Scotland of India, Coorg is located in the heart of the Western Ghats at a distance of 270 KM’s from Bengaluru. 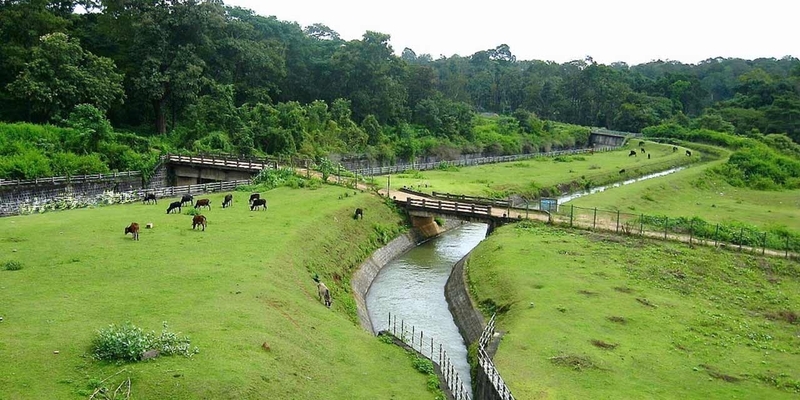 While the Coorg weather is to die for, it is also famous for its lush green forests, exotic wildlife, vast spread coffee estates, adventure activities such as forest treks, white water rafting and milky waterfalls, making it a preferred destination for those who are looking for a good break. Coorg is a perfect destination if you are planning for a corporate team outing around Bangalore. However, if you live in Bangalore and want to enjoy a good break nearby, then checking into the Discovery Village resort at Nandi hills is a great way to get away from the bustling city life of Bangalore. 2. 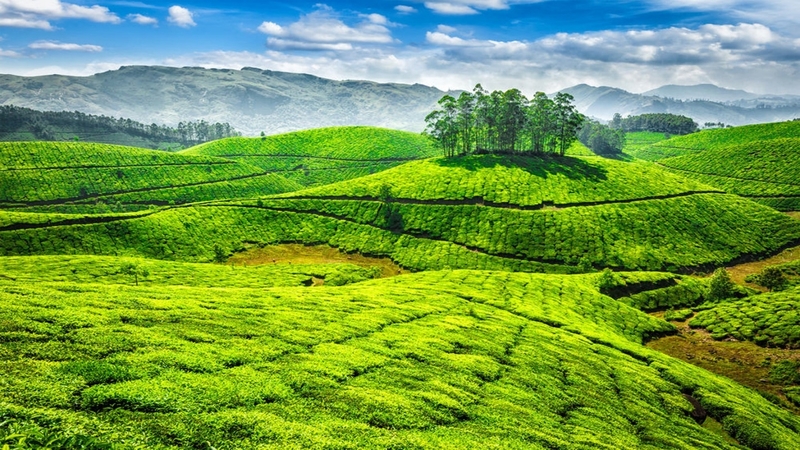 Munnar, Kerala: Another gem in the crown of the Western Ghats, Munnar is a nature lover’s paradise, especially during the monsoons. The low hanging clouds lace the enormous tea gardens with mist and dewdrops. Such a sight will surely leave you refreshed and revitalized. Located at a distance of 130 KM’s from Kochi, Munnar is easily accessible by road and is one of the best places to visit during monsoon. 3. 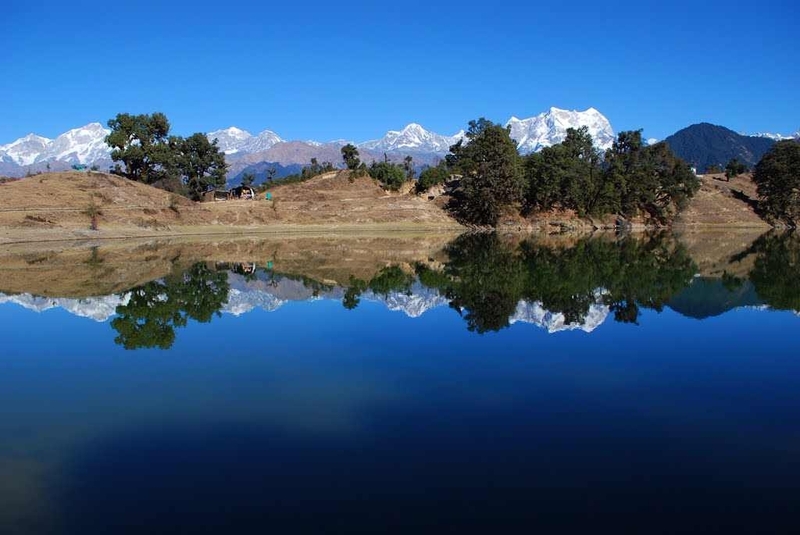 Deoria Tal, Uttrakhand: Situated in the Garhwal Himalaya ranges, the Deoria tal, also known as the Rudra Prayag lake is a hotspot for trekkers looking to soak in the beauty of the Himalayas. The location of the lake offers a panoramic view of various snow-capped Himalayan peaks. Located at an altitude of 2,538 meters and surrounded by lush greenery, Deoria Tal makes a very good holiday spot to travel to during the monsoons. 4. Panchmari, Madhya Pradesh: Popularly referred to as the Satpura ki rani, Panchmari is a scenic hill station located in the Satpura hill range of Madhya Pradesh. 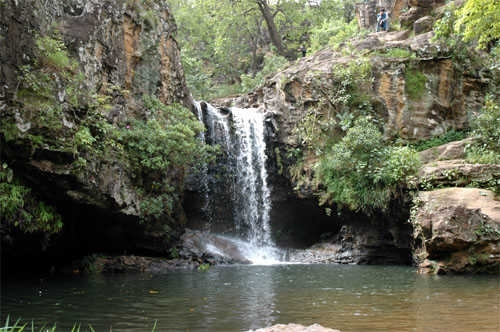 The Satpura national park, the ancient Panch Pandav caves, Apsara vihar waterfalls, Jata shankar caves and the Duchess falls are few of the many attractions here. The lush green forests and the waterfalls are a sight to behold during the monsoons. 5. Udaipur, Rajasthan: Udaipur is an oasis in the middle of an otherwise barren and lifeless desert. Popularly known as the city of lakes, Udaipur plays host to numerous lake palaces that are nothing short of architectural marvels. 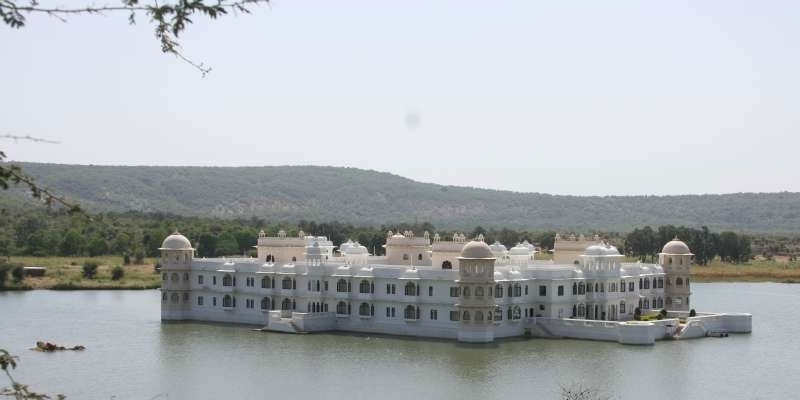 Some of these palaces have now been turned into hotels and allow you to experience the royalty of Rajasthan first hand. While there is no dearth of places to visit in India, these five locations are some of the best places to visit during monsoon season. A trip to any of these places is sure to leave you with loads of memories to cherish.